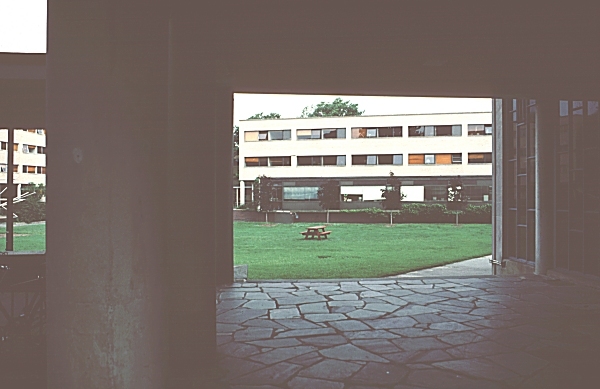 Images of Harkness Commons and the Graduate Center, Harvard University, by Walter Gropius and The Architects Collaborative, 1950. Digital Imaging Project: Art historical images of European and North American architecture and sculpture from classical Greek to Post-modern. Scanned from slides taken on site by Mary Ann Sullivan, Bluffton College. 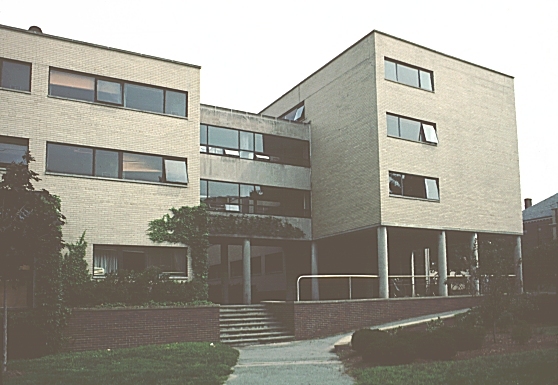 Walter Gropius, founder of the Bauhaus in Dessau, Germany, was asked to head the Harvard School of Design after the Nazis closed the Bauhaus. In 1945 he founded The Architects Collaborative. 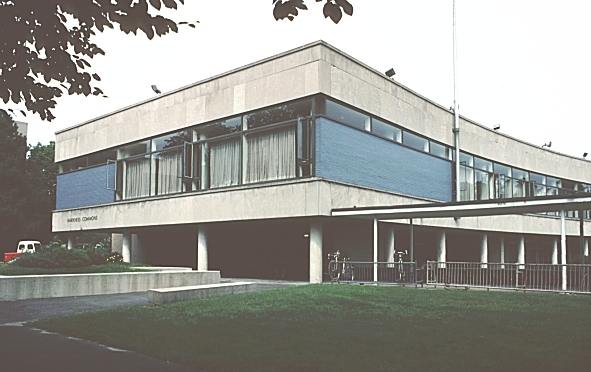 This group designed this first complex of buildings at Harvard in the International style. Like the Bauhaus, this grouping is functional and factory-like in appearance. 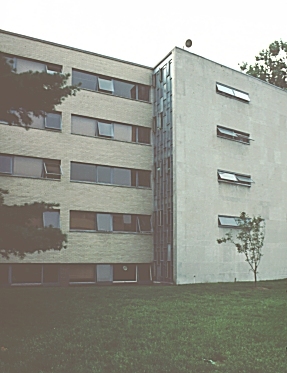 Walks connect the seven brick dormitories which are characterized by their spare look, smooth planar walls, and asymmetric balance in the window treatment. 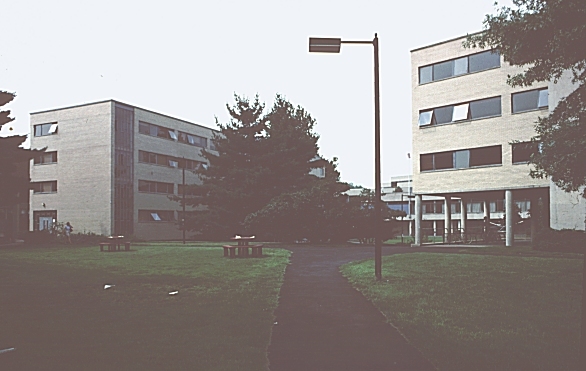 Harkness Commons (left) is the focus of the complex and contains recreational facilities and a second floor dining room. 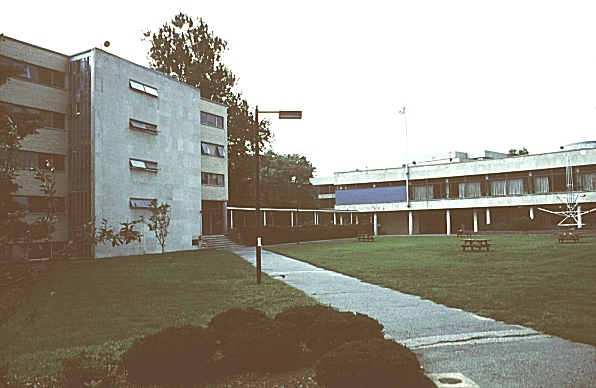 Other buildings by The Architects Collaborative on this site include: Bartholomew Consolidated School Corporation, Administration Building, John F. Kennedy Federal Office Building, and Parkside Elementary School.